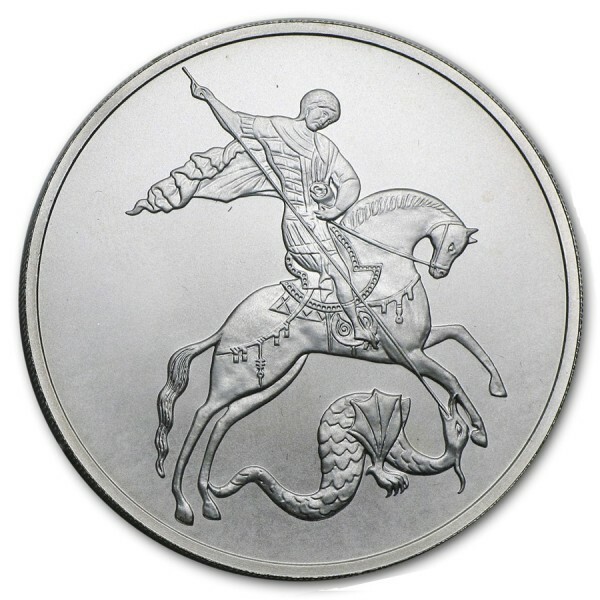 This Russian 3 Roubles coins were issued featuring the Russian version of Saint George slaying a dragon. Contains 1 oz. of .999 fine Silver. 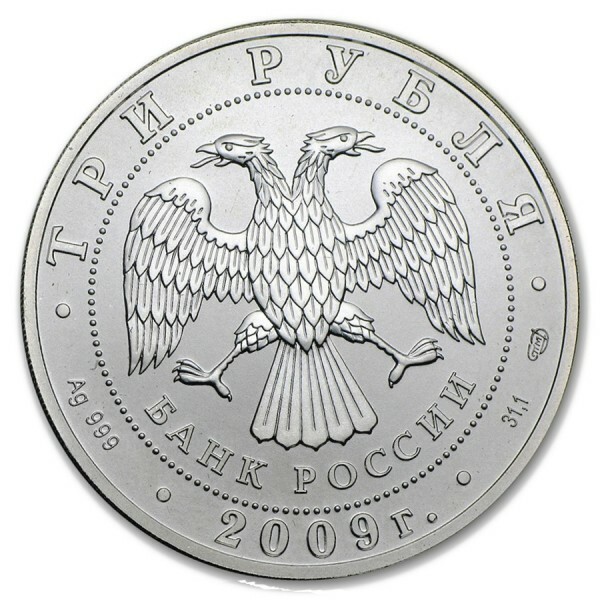 The obverse features the emblem of the Central Bank of Russia what is a double-headed eagle with wings down and is written with "БАНК РОССИИ" (Bank of Russia), "ТРИ РУБЛЯ" (Three rubles).